Thank you for everyone who participated in our Photo Contest, Étoile Search! These events are officially ended to day and the announcement will be tomorrow in this blog. 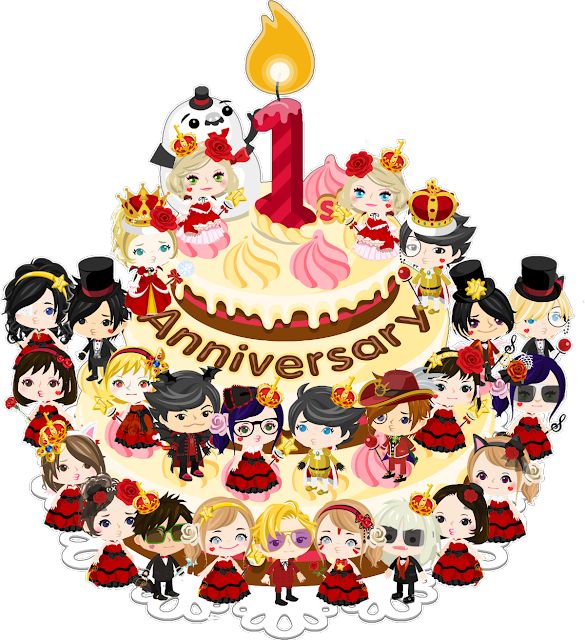 On the Étoile Anniversary Party, we will be celebrating the Alice in Wonderland Anniversary, Royal Diaries Anniversary and Étoile Royal Anniversary. So feel free to enjoy your bond with us! We would love to meet our friends,fans/supporters, VIPico and other Étoile clan members, readers, video watchers and as well as the others too! The 5 new Étoiles will be based from current Étoile's options and votes. The 5 candidates who has the highest votes will be the new member and will be announced before the Étoile Anniversary Party Starts. Please also be reminded regarding the Étoile Anniversary Party in Alice in Wonderland (MaiRie's room for some guide lines! The Alice in Wonderland will be locked till the event start. Étoiles will be coming in before the event. If a non-Étoile come in, he/she will be automatically kick out w/o any consideration due to the event reparation and privacy. Party might be extended and other Étoiles possibly go to other rooms. You can come anytime you want in the party. The party will be for 3 hours and through this, others can have a chance to meet us. You can also leave even the party is not yet ended. Just HAVE FUN!